News from May, 2011 on Pennsylvania Record. A mother's lawsuit against a maintenance contractor for a Philadelphia homeless shelter is at trial in the Court of Common Pleas. 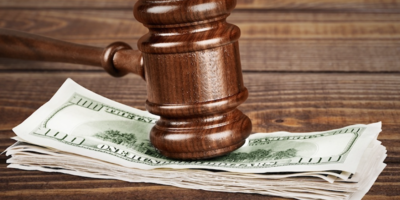 A New Jersey woman has filed suit against her former employer, alleging she was not paid more than 10 years worth of overtime pay. A Montgomery County man has filed a premises liability lawsuit in Philadelphia Common Pleas Court against Regal Cinemas for injuries he suffered in October 2009 at a Plymouth Meeting movie theater. A Florida man claims he attempted to pay back more than $4,000 worth of debt, but lost thousands of dollars when a debt collector and credit card company switched his debt to a different collector without warning. A Bucks County woman is suing the Trump Taj Mahal Casino Resort, and its parent company, Trump Taj Mahal Inc., for injuries she allegedly sustained after being bitten by cimicidae, more commonly known as bed bugs, during a stay at the Atlantic City hotel. A Philadelphia woman has filed a premises liability lawsuit against a city corporation for injuries she allegedly suffered after she fell face-first onto broken concrete. Jury selection began May 3 at the Philadelphia Court of Common Pleas on an non-malignancy mass tort asbestos case involving three different plaintiffs who claim they were exposed to asbestos during prior employment. A Philadelphia man is suing the Pennsylvania Department of Transportation for injuries he suffered after falling off his bicycle at a depressed section of roadway. A Philadelphia Common Pleas Court Jury awarded a 9-year-old girl $250,000, and her mother, $15,000, after a three-day premises liability trial. A Philadelphia woman has filed a premises liability lawsuit in the Philadelphia Court of Common Pleas against the New Jersey Transit Authority and a company that operates at the train station where she was hurt. An African American woman has filed suit against her former employer, alleging she suffered numerous incidents of racial discrimination before she was terminated from her job. A woman has filed suit against the fast food chain where she used to work, alleging she was fired after reporting sexual harassment to authorities. A Philadelphia man claims he lost his job after taking off an unspecified number of days under the Family and Medical Leave Act. Howard Actor Terrence Howard, who has starred in such films as Fighting and Winnie, is the subject of a lawsuit in which his former manager claims she was not paid enough for her role in helping him secure the parts. Two women have filed a putative class action lawsuit against the company that they claim has labeled them as thieves, causing them to be denied employment opportunities. A non-malignancy asbestos trial involving two out of state plaintiffs diagnosed with symptomatic pleural disease got under way May 9 at the Philadelphia Court of Common Pleas before Judge Norman Ackerman. A former city school teacher is suing the School District of Philadelphia for what he alleges was a wrongful termination. An Ohio man has filed a personal injury lawsuit against Conrail, and its successor, Norfolk Southern Railway Co., for what he alleges are work-related injuries. A former union electrical inspector who slipped on a patch of ice while working at a Burger King that was being renovated is suing the corporation and others in a personal injury civil action. A New Jersey man and his wife are suing the makers and distributors of Hydroxycut in one of the latest mass tort filings involving the dietary supplement.